And he’s not alone in the medical community with this philosophy. I’ve heard many stories of doctors, both neurologists and general practice physicians, who are reluctant to prescribe treatment for Alzheimer’s Disease. They believe that the current drugs available don’t make a difference. They believe the current drugs are not cost effective. Aricept and Namenda do not cure Alzheimer’s. They do not stop the progression of the disease. The cognitive capabilities of everyone who has Alzheimer’s Disease will get worse despite taking these medications. No one gets out of Alzheimer’s alive. But what about quality of life? What about the value of making each day a little less foggy, less frustrating, less isolated, less stressful for as long as possible? What about living as fully as possible with whatever time you have? Do doctors not bother to prescribe calcium channel blockers or statins to elderly patients with heart disease because they’re likely going to die soon anyway? Are patients with cancer denied surgery, chemotherapy, or radiation if it’s known that these treatments will only buy time before the cancer ultimately kills them? In the diagnosis and treatment of any patient, doctors have been trained to measure and quantify. Cholesterol levels are measured. There is a number. Blood pressure is taken. There’s another number. Patients are given medication, and doctors look to these numbers to evaluate whether the treatment is working. The number changed. The treatment worked. But just because there’s no numerical index of biological improvement that can currently be measured, it doesn’t mean the improvement isn’t there. We’re all on the Titanic. We’re all going to die. For those of you with Alzheimer’s disease who are taking an Acetylcholinesterase Inhibitor (Aricept, Exelon, Reminyl) and/or Namenda, do you feel like you’re just pointlessly rearranging the deck chairs? Tell us what you notice about your capabilities and mental health while on these medications. What value do these drugs have for you? Caregivers, tell us what you notice. What do we know without knowing any numbers? Which is why the biomedical model of dementia is not sufficient. "Managing disability and enjoying life: How we reframe dementia through personal narratives." That's the title of a paper just submitted for publication to The Journal of Aging Studies by Renee Beard, Jenny Knauss, and Don Moyer. The lead author is a geriatric sociologist who used methods she's been polishing in similar dementia research to analyze narratives from persons living dementia, narratives which Jenny and I collected last January by email. Renee concluded that the narratives show that these persons: have meaningful lives which could be further enriched; accommodate dementia into their lives; see dementia as a beginning rather than as an end; preform the emotional work of managing their disabilities; creatively construct meaning, order, and selves; are – and insist on being seen as – individuals having continuing personal stories.The view shown by these narratives is quite different from the typical biomedical view of dementia and should be incorporated into dementia care, planning, practices, and policies. well said ! Jay, Chuck, Linda, don moyer ! the life is even a Titanic for all of us on this earth … we'll have to die a day or another … but we and the whole society are responsable of our quality of life. I hate that analogy of the titanic, unfortunately it is true there are many physicians who feel that way, even if they don't admit it to anyone or themselves. 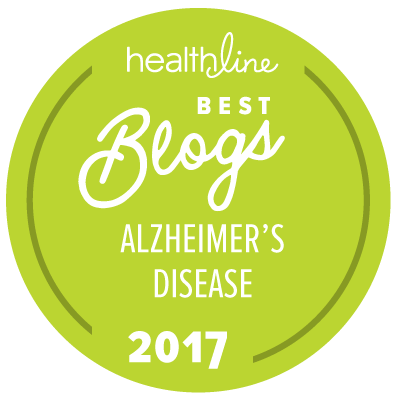 I am a physician, who has treated many people with Alzheimer's over the years. One thing to understand is that physician's are human like everyone else. Alzheimer's is not just a medical problem, it is a social problem that is the attitudes we have towards it are influenced by social mores, popular culture the media etc. The practice of medicine has become very politicized and watered-down. The ancient archetype of the physician healer will always be, the physician-patient trust and therapeutic alliance has been around forever. Our society and popular culture has done just about everything it can to destroy this. The "business" of health care has very little to do with the physician patient alliance. The business of health care has been brought about mostly by non-physicians working in health care, who never will really understand what this alliance is about. However these business people weigh heavily on the physician and create profound pressure on the doctor. It wrecks the alliance. The media would simply like us to believe that this is simply about the doctor trying to make money. It isn't. Remember 99% of the time doctors do not get to set a price for the service he or she provides, unlike any other goods and services we might desire or acquire in the United States. If a doctor is not willing to aggressively treat or prescribe available modalities to slow the decline of the disease, it is simply because he or she has colored perceptions and biases, and mostly because they have not confronted their own issues and fears. They are human just like you. The apathy of "well it is a fatal disease anyway" has been slowly and insidiously beaten into many doctors over the years. Utilize you resources elsewhere etc. It has been beaten into them by the business of health care and our society that glamorizes youth and beauty. The business people of health care, I guarantee you do not like the concept of Alzheimer's disease. You can look at the disparity and punishment economically you receive by the current system, because you or a loved one has Alzheimer's compared to some other potentially fatal disease.